ATF decides they need to stay relevant. I dig his delivery. PANIC or don't. Haha. Read more here. "ATF was recently asked about the status of nitrocellulose under the Federal explosives laws and regulations. “Nitrocellulose explosive” is on ATF’s List of Explosive Materials. ATF has determined that nitrocellulose containing greater than 12.6 percent nitrogen is a high explosive under 27 CFR, Part 555 (nitrocellulose containing 12.6 percent or less nitrogen is generally not an explosive material under Part 555). Therefore, it must be stored in a type 1 or type 2 magazine. We are aware that the U.S. Department of Transportation may assign a nonexplosive classification to nitrocellulose when it has been wetted with water or alcohol. This is based, in part, on the diminished likelihood of explosion in a transportation accident. Because the nitrocellulose retains its explosive characteristics when the water or alcohol is removed, the wetted nitrocellulose remains a nitrocellulose explosive, subject to the licensing, safety and security requirements of the Federal explosives regulations. However, based upon the diminished likelihood of wetted nitrocellulose exploding, ATF will consider variance requests to store the wetted material under an alternative arrangement." 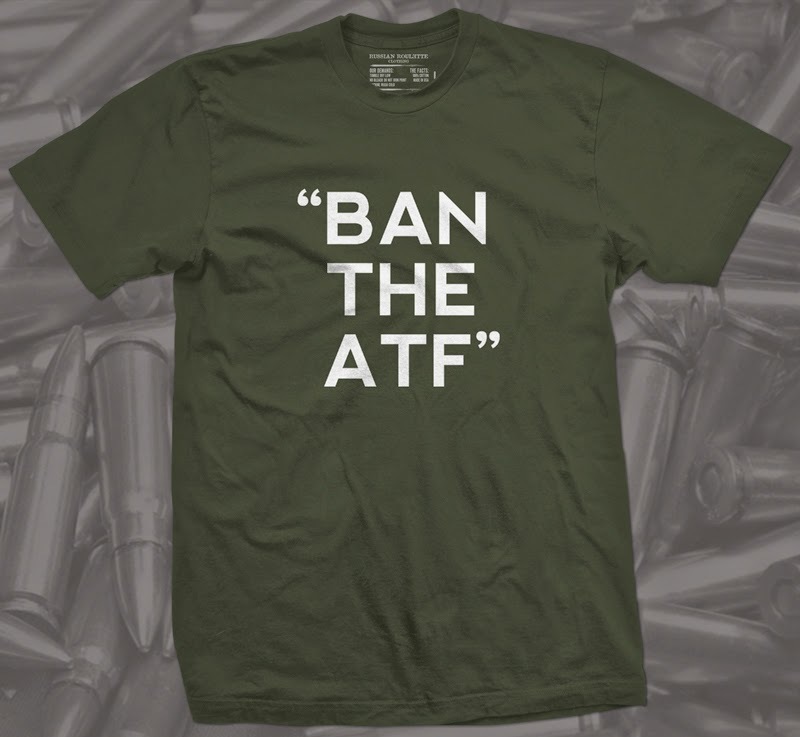 "Ban the ATF" shirt, because reasons.